The 476 and 952 cubic foot capacity Despatch TAD/TFD walk-in ovens feature uniflow airflow to ensure uniform temperatures throughout the oven. These large models are often used as the basis for composite curing systems with Focal Point Software and vacuum ports added. Maximum temperature is 343°C (650°F). 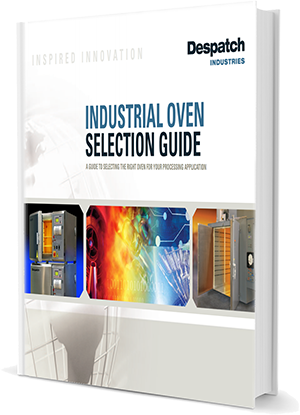 These walk-in ovens are designed for industrial process versatility, dependability and economical utilization of facility space. They are typically used for aging, curing, bonding, annealing, drying, baking and heat treating. 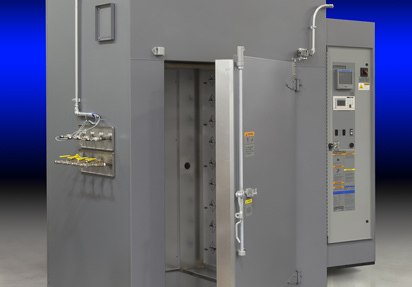 TA Composite Curing Ovens offer customers a variety of beneficial features, including vacuum ports, lift doors, and tight temperature uniformities. 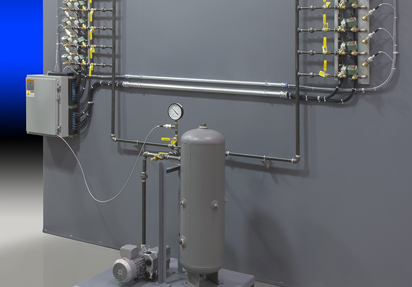 The Despatch composite curing system offers an integrated, multi-port vacuum system and jack panels to connect as many thermocouples as needed for monitoring the curing process. Mold preparation, including preheating, drying and cleaning processes, can also be provided. 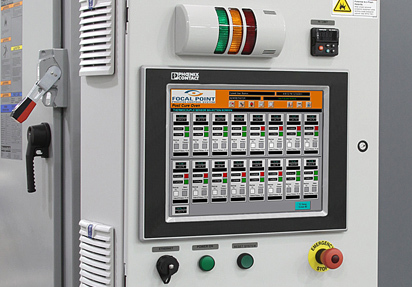 Despatch composite curing systems are available with Focal Point™, an intuitive, PC-based process control system that is user friendly and easy to navigate. Focal Point™ fully controls the curing process and documents all process information, providing traceability and validation of part quality. Thermal curing is a critical step in manufacturing quality composite materials. Traditionally, most composite parts required autoclaves for proper curing. Today, low cost out-of-autoclave curing of aerospace-grade composite parts is possible using a vacuum bagging system with a walk-in batch oven. The process is precisely controlled and monitored to ensure void-free composite parts. 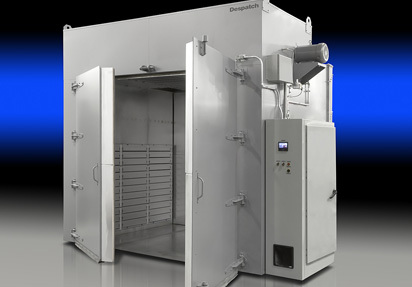 Despatch provides complete composite curing systems that include a custom configured oven, integrated multi-port vacuum system, and Focal Point Process Controller. The system meets AMS2750, BAC5621, NADCAP and AS9100 requirements and has been utilized by the world’s leading aerospace manufacturers. the dynamics of thermal airflow than Despatch. Our ovens are known for exceptional temperature uniformity and our proprietary Focal Point Control System has been specifically designed to provide the process control, data acquisition and reporting needed for complex composite curing. The anchor of the Despatch composite curing system is an oven that delivers exceptional temperature uniformity for perfectly cured parts. 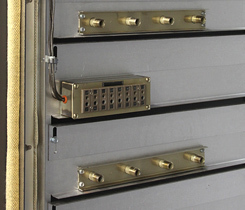 Multiple thermocouples are connected through jack panel arrays to fully monitor the part as well as the oven temperature. Out-of-autoclave curing requires a vacuum bagging system to apply pressure to the composite to eliminate voids. The Despatch vacuum system includes a vacuum pump and ports that can be added to suit your needs. Tight process control and monitoring is critical for consistent quality parts. Focal Point™ fully controls the curing process and documents all process information, providing traceability and validation of part quality.